Calendar marketing can be one of the best ways to build brand recognition, gather leads, or make sales. Distributing free calendars to your target audience is a nice goodwill gesture that also puts your company front and center 365 days a year. This can make them a very cost-efficient part of your marketing mix. More than just distributing any calendar, you should know how to take advantage of calendar marketing to optimize your response rate and investment. The best marketing practices dictate that you should put your calendar in front of a well-defined, highly targeted audience for best results. Let's say you're an insurance agency that sells policies for a number of things: houses, cars, boats, motorcycles, businesses, etc. It's tempting to print a 12-month calendar that focuses on one of these areas each month. However, you would be much better off to print calendars for specific sub-niches: a sailboat/island travel calendar for sailboat enthusiasts, a classic motorcycle calendar for bikers or a functional business-marketing calendar for businesses. You can also reach a broader audience by creating a calendar with a common theme, such as a local sports team. The important thing to remember is that if you can engage your audience with your calendar, you'll double your efficiency without doubling your costs. Some companies print calendars with nothing but their logo and bland rows of dated squares and call it branding; however, calendars offer the perfect opportunity to aggressively promote your products and services on a daily basis. Use icons and images to highlight special sales, discounts and events. If you sell seasonal products include seasonal checklists on the calendar. A hardware and home supply store, for example, might include a spring cleaning check list in April and a winter preparation check list in October. The goal is to help your customers think about what they need and to tell them you can provide it. Include special offers, discounts and calls to action throughout your calendar; and give your audience a heads-up the month before with a small, yet prominent, upcoming events box. Just because most businesses think that calendars are only good for branding doesn't mean you can't harness the power of a daily message as a direct-marketing piece. The bottom line is the return on investment and, though your calendar branding efforts aren't easily measured, direct-marketing methods are. Include cut-out coupons each week or month for your specials so you can track your returns on investment. To increase returns on investment from the onset, you should also print your calendars in volume. Print as many as you'll distribute in one run to keep your cost per calendar low, thus increasing your profit per sale. When it comes to calendar marketing, your job is to think outside the boxes. Give your audience an aesthetically pleasing and useful calendar that has value, and you'll boost brand recognition and your return on investment. It’s officially the joyous holiday shopping and celebration season. Unfortunately, the holidays also attract scammers and data thieves. I call this The Grinch Effect  manipulating or stealing from innocent people while they’re busy celebrating. Unlike the Grinch, fraudsters don’t have a last-minute change of heart. They’ll rob you blind and move on to the next unsuspecting victim. 7 Holiday Identity Theft Prevention Tips. Holiday parties are a major source of data theft. Opportunists are looking for smartphones, iPads, financial documents, checkbooks, credit cards, disks, laptops, thumb drives, sensitive trash or mail, purses, wallets and other sources of identity. Statistics suggest that identity theft is committed by someone the victim knows approximately 30% of the time. Centralize your identity into one secure location. When a potential thief disappears upstairs, you don’t have to worry. Leave your valuable data at home or in the trunk of your car. With a debit card, money is withdrawn directly from your bank account. When fraud occurs, it’s more difficult to get it back. Instead of paying with your debit card, use a credit card or a High Security check. When you use a credit card, nothing is withdrawn from your bank account. And, credit cards generally give you a longer period (90 days) before you’re liable. Sign your checks with a gel-based pen that cannot be easily dissolved. Malls, stores, restaurants and cafés are the perfect environments for thieves to make off with your goodies while you shop, dine or relax. It only takes a second to pick up a purse or briefcase when you’re getting a refill. Leave your identity at home. Unplug for the day. As a last resort, hide your devices in the trunk before you park. Parking lots are commonly monitored by thieves looking for valuables left behind. Carry only your driver’s license and one or two credit cards in your front pocket. Hackers can easily tap into Wi-Fi connections at public hot spots to steal your identity. This can be especially dangerous when you’re making purchases with your credit card on unsecure connections. If you must shop online while in public, enable tethering on your smartphone. Tethering connects your computer to the Internet using a smartphone (or Internet-enabled cell phone). So, when you use your smartphone to surf the Web, you’re accessing a protected connection. It may be slower, but it’s safer. Ask your provider if your smartphone has tethering capabilities. Because we tend to be more generous during the holidays, scammers ask for donations, promising free iPads, claim to be a friend in need or ask you to click on something out of character. Don’t fall for it. Never spend money solely based on a wall post, email or phone call. Only donate to charities you know. If friends send you a link that seems out of character, delete it. Their account may have been taken over by scammers. In addition, don’t post holiday vacation plans online and tell thieves exactly when to burglarize your home. Sometimes there is no possible way to prevent identity theft. As a result of living in the information economy, your identity will occasionally be compromised. 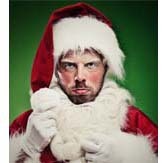 Frequent monitoring of your checking, debit and credit card accounts can catch most types of holiday identity theft. But if you don’t catch it quickly, it’s much more painful financially. Sign up for automatic account alerts to quickly and conveniently notify you when transactions occur.